In the wake of the 2017 hurricanes, the United States Department of Agriculture (USDA) is providing emergency assistance to dairy operators in the Commonwealth of Puerto Rico. USDA is preparing for signup to begin Oct. 21, 2017, the agency announced. Hurricanes Irma and María devastated Puerto Rico’s agriculture sector, including dairy operations. Secretary Perdue said the Commodity Credit Corporation (CCC) is providing up to $12 million dollars to enable operators of Puerto Rico’s 253 licensed dairy operations to purchase feed for cattle. The special initiative, applicable only to Puerto Rico, is called the Dairy Assistance Program for Puerto Rico (DAP-PR). The program will be administered by the Farm Service Agency (FSA), which has offices and staff on the island. 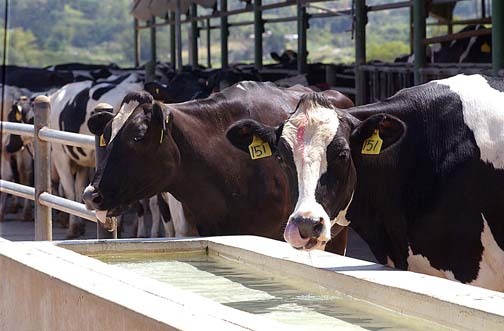 Under the provisions of the announcement, dairy operators can apply to FSA to receive vouchers to purchase an estimated one-month supply of feed. The amount of the voucher is calculated based on 100 percent of estimated feed costs per cow for 30 days. There are an estimated 94,000 dairy cows on the island. For more information about how to apply, call the USDA Puerto Rico disaster assistance hotline for agricultural producers at 1-787-303-0341, visit your local FSA office, or go to www.fsa.usda.gov. Hey Buddy!, I found this information for you: "USDA offers aid for PR’s hurricane-impacted dairies". Here is the website link: https://newsismybusiness.com/hurricane-impacted-dairies/. Thank you.